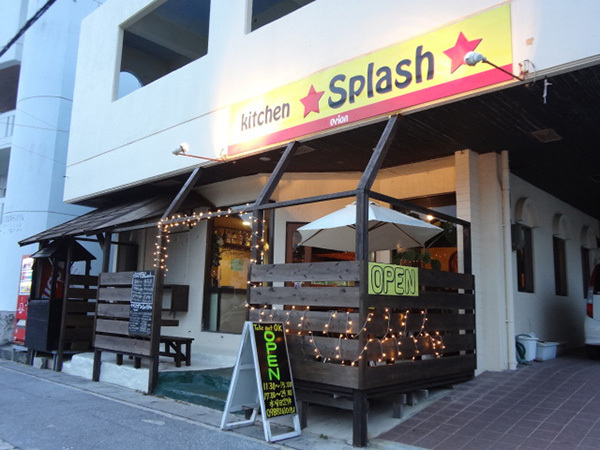 Located only a few minutes walk from the Miyagi coast, known as a popular diving destination, Splash is a great place for casual bites and drinks. 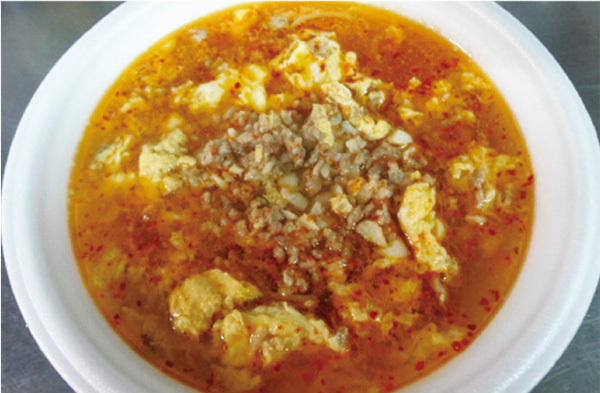 At this brightly-lit eatery, the cheerful woman owner and her staff will give you a warm welcome. 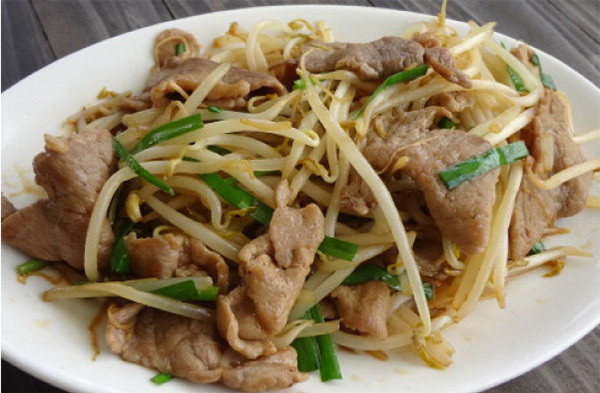 The owner used to run a restaurant in mainland Japan and now serves a variety of Chinese and Okinawan dishes ranging from light & flavorful to savory & satisfying. During lunchtime, you can enjoy ramen or rice bowls for 500 yen only. There are other lunch options available at reasonable prices (700-800 yen). 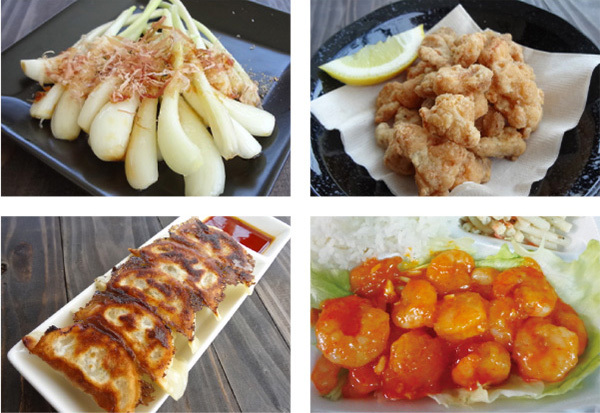 Splash’s dinner menu is filled to the brim with variety, including stir-fried pork and soybean sprouts (600 yen), chicken nanban (700 yen) chinjao rosu (700 yen), spicy chili shrimp (980 yen), spicy garlic tammen (700 yen). Another highlight is finger foods served as the perfect accompaniment to your drinks. From 17:00 to 20:00 every night, you can enjoy draft beer at the special price of 300 yen! Splash is also recommended as a quick pop-in eatery as their menu items can be served fast, usually within 5-10 minutes. At Splash’s open-air terrace, you can enjoy delicious foods and a beach ambiance. Guests often come with their swimsuits or wetsuits on. Pets are also welcome. For take-out meals, please order over the phone in advance to ensure faster service. 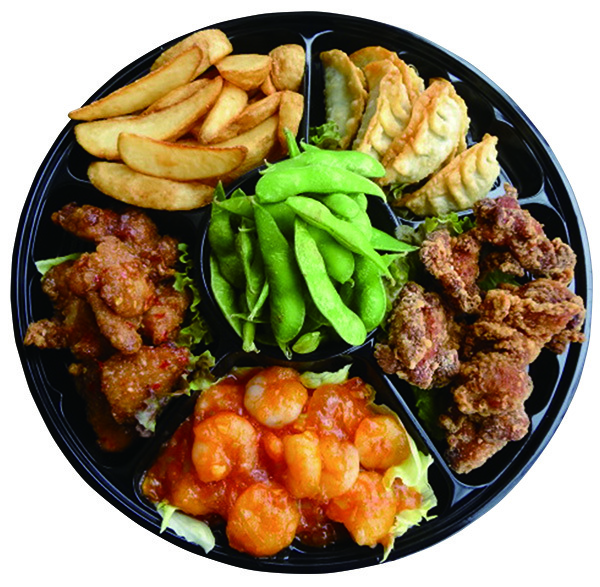 Splash’s tempting 6-kind platter includes karaage (fried chicken), spring rolls, gyoza (pan-fried pork dumplings), French fries, edamame (salt-boiled green soybeans) and deep-fried squid arms at 2,500 yen (serves 3-4) and at 4,500 yen (serves 6-7). Splash’s platter-only delivery service is guaranteed to bring a feast at your doorstep (order required in advance). Plan a party and make it more fun with Splash’s savory platters!